The apples enjoyed by Chick-fil-A customers in the Seattle area don’t have to travel far. They’re Washington natives, from the town of Cashmere —the geographic center of Washington State— nestled between the Enchantment Basin and Wenatchee National Forest. It’s an area rich in agriculture, where thousands of acres of apple tree orchards dot the eastern side of the Cascade Mountains. Scott is the CEO of Crunch Pak, one of the country’s largest suppliers of sliced apples. With around 1,100 employees, mostly from Cashmere and nearby Wenatchee, Crunch Pak produces 1.7 billion apple slices annually. You read correctly – that’s slices, not whole apples. It may be tough to remember a time when sliced apples weren’t an option at your local grocery store, but it’s still a relatively new idea that took off in 2000. Scott compares buying whole apples to drinking water from the hose —which he did as a kid— before the advent and adoption of buying bottled water. “Now a bowl of apples on a table is more like art,” he says. It seems sliced apples are a produce mainstay. Chick-fil-A restaurants across the West and Southwest serve 2.25 million pounds of Scott’s apples sliced up in fruit cups all day, every day. Apple season typically runs between mid-August and mid-November when the fruit is harvested at the peak of freshness and stored in a controlled atmosphere with reduced oxygen levels until it’s ready to be packed. The process prevents the fruit from browning and eventually rotting. “Think of it as putting an apple to sleep,” he says. From Granny Smith and Honey Crisp to Golden Delicious apples, the demand for these varieties is based largely on quality of crop, availability and customer specifications. 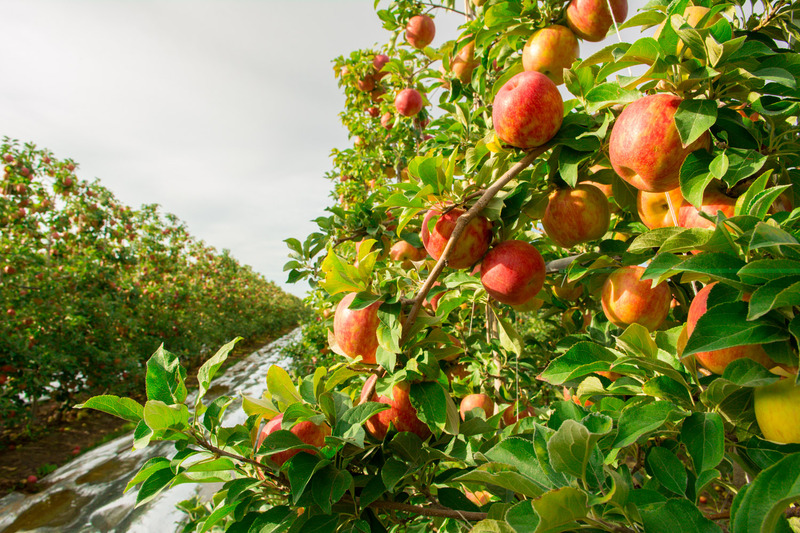 Crunch Pak sources apples from more than 100 premium orchards located throughout Central Washington; interestingly just two orchards account for 25,000 acres of land. From the orchards, trucks full of freshly-picked apples arrive at Crunch Pak’s doors daily. Vats filled with bobbing apples are then thoroughly washed, sliced or diced and hand-sorted to remove imperfect slices containing seeds, blemishes or stems. Imperfect apples are sent off for use in cattle feed or fertilizer. An apple tree planted today won’t produce for five years. 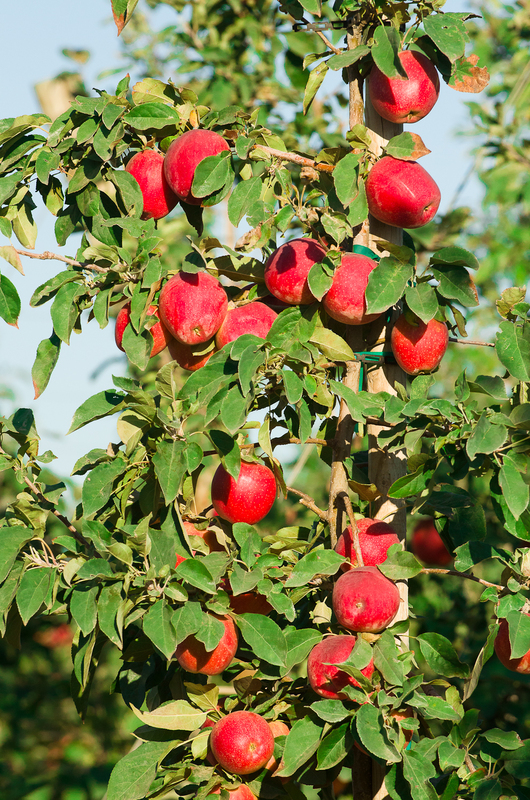 Once it does, there’s the challenge of getting a freshly-picked apple from tree to customer. Beyond balancing supply with demand, there’s Mother Nature to contend with, as the snow pack in the Cascade Mountains affects water levels and soil nutrients. Then there are the weather patterns: heat and hail can harm blooms and growth. Mother Nature permitting, after an apple is cleaned, sliced and packaged, it’s kept at a consistent 38 degrees Fahrenheit in what’s called the “cold chain.” It must stay at 38 degrees from the time it leaves Crunch Pak’s facilities to the time it arrives at a Chick-fil-A restaurant and is delivered into the customer’s hands. This requires reliance on more than 500 trucking companies accounting for weather and other service disruptions. It can be a stressful job, but it’s a role Scott was born to play. A veteran of the U.S. Navy, a former employee of Delta Airlines and most recently a supply chain and purchasing manager at Chick-fil-A, Inc., Sargent knows a thing or two about logistics. He says his real focus is to exceed customer expectations and get better every day. As the Washington apples make their way from the orchards to the hands of local Chick-fil-A customers in Bellevue, Lynnwood and Tacoma, it seems the resounding answer to Scott’s question comes in the form of a crunch and a smile.